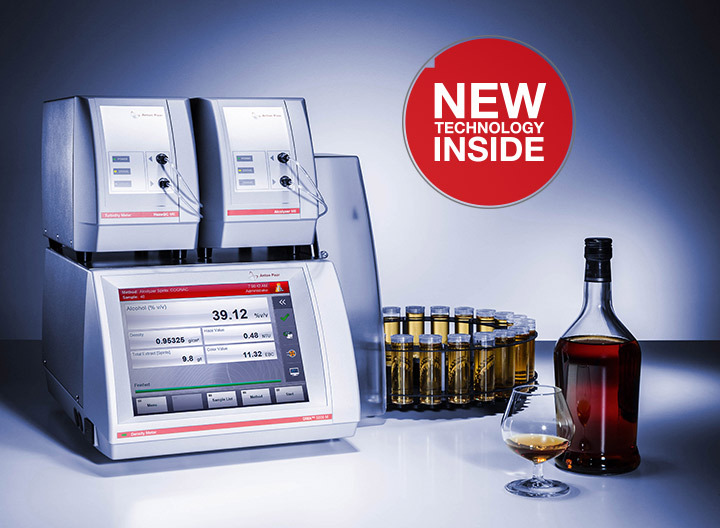 Analyze spirits efficiently and economically in the laboratory and at the production line using the Alcolyzer Spirits M/ME alcohol analysis system. Alcolyzer Spirits M/ME determines the alcohol content (35 to 65 %vol), color, and pH value of alcoholic beverages. 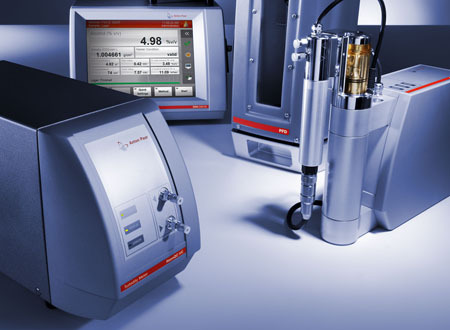 In combination with a density meter, the system additionally determines the total extract of the sample. 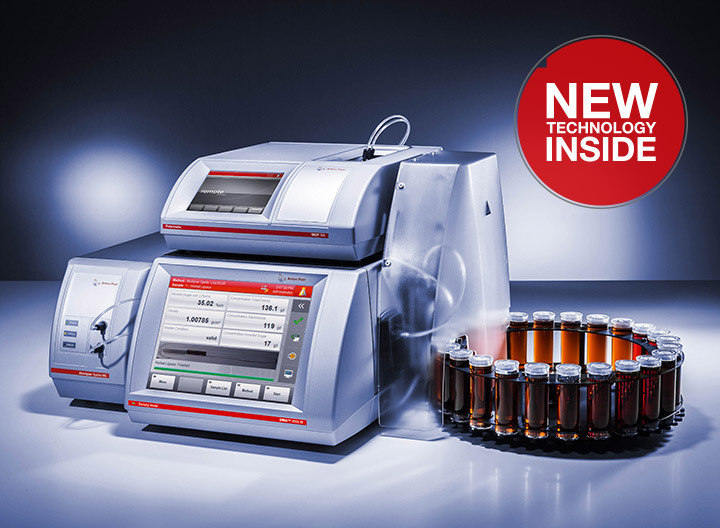 Expanding the system with an MCP 100 circular polarimeter enables the direct alcohol analysis in saccharose or invert sugar based liqueurs in the range of 15 to 40 %vol.